*Free admission. Everyone is welcome to attend. No video and camera recording during the performance. 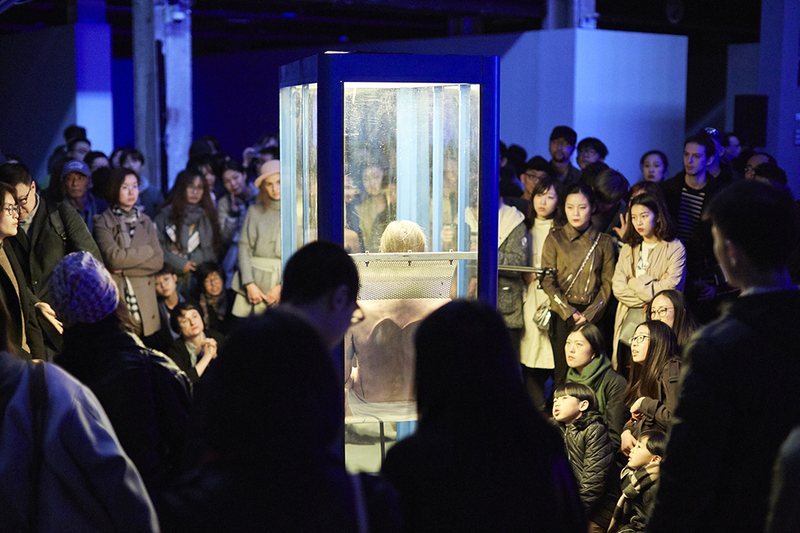 This project is a follow-up of Swiss performance artist Yann Marussich’s participation with the breathtaking piece “Bain Brisé” (2010) at Swiss Window in Asia tour in March 2016 at PSA Shanghai, Penghao Theatre in Beijing, and OX Warehouse in Macau. 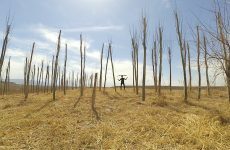 Yann Marussich will return to Shanghai for a residency with Swiss artist Anne Rochat in March 2017. 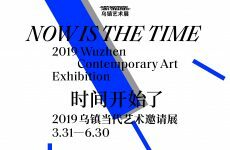 Yann will perform his renowned piece “Blue Remix” (2007) at the opening of “Post-sense Sensibility: Trepidation and Will” at McaM Shanghai, and perform “Bain Brisé” in Xi’an. 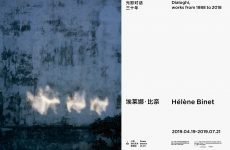 This project receives the support from Pro Helvetia Shanghai, Swiss Arts Council. 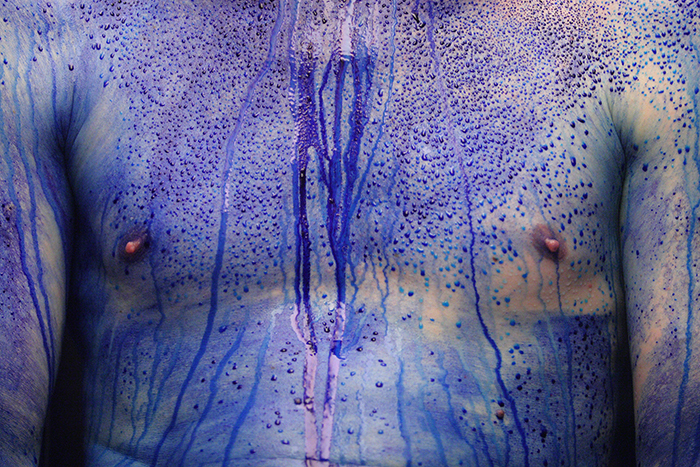 “Blue Remix” is the sequel to “Blue Provisoire”, created in 2001– a performance in which Yann Marussich let a blue-tinted biological liquid ooze through the layers of his skin, representing the movement of the body’s inner processes. The sound track to “Blue Provisoire” is remixed for each performance of“Blue Remix” by a different local musician, bringing an element of uniqueness to each event. 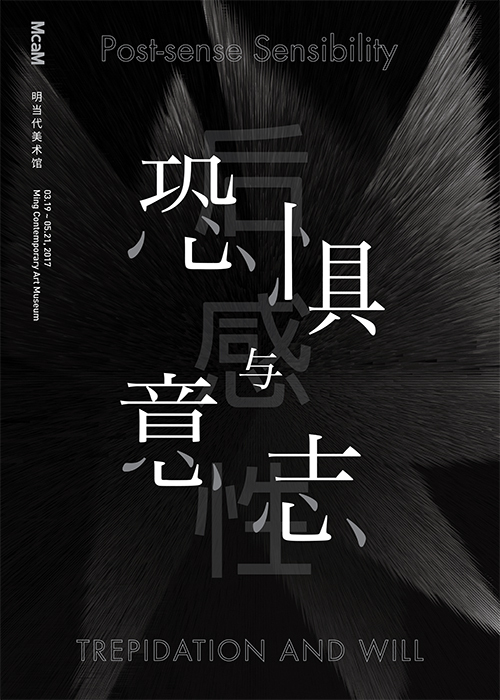 The music of the performance in Shanghai is recomposed and remixed live by the local musician B6. 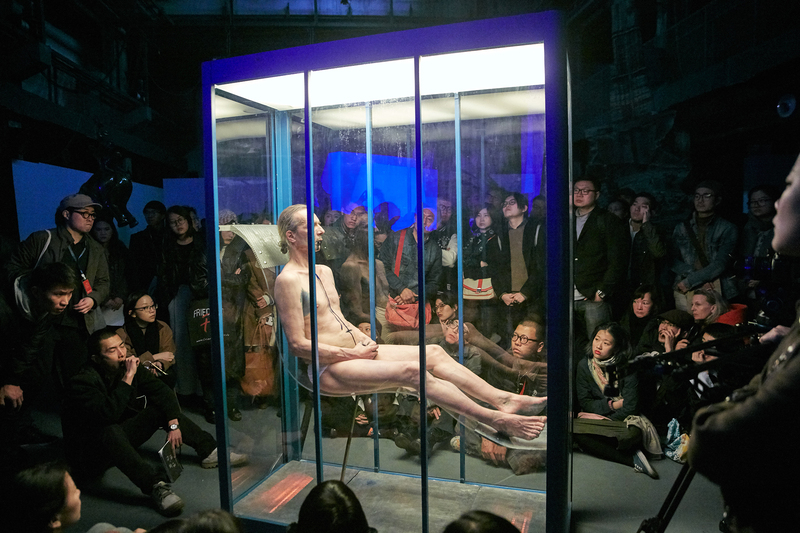 In “Blue Remix” , the performer, wearing nothing but white briefs, sits on are sling chair in a transparent glass cage. Once again, the artist takes us on an intimate journey through his body. He sits motionless, opening and closing his eyes. Gradually, blue tears run down his cheeks, blue snot runs from his nose, and blue spit trickles from his mouth. He begins to sweat, first under his armpits, then his forehead, back, belly and legs: his whole body is covered with pearls of blue sweat. 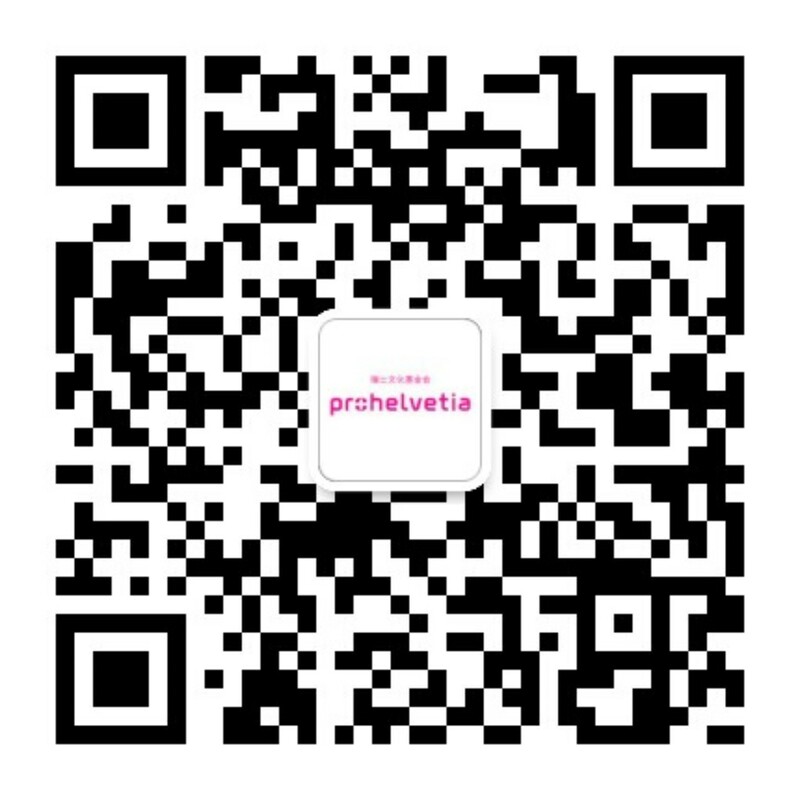 While searching for a kind of universal human being, Marussich takes the essence of “Blue Provisoire”’s concept, mixes and transforms it to shake the senses and reveal the frailty of reality. With imperceptible movements, an intense gaze, and blue perspiration made visible, Marussich opens the paths between the inside and the outside world–secret passages from the unconscious, straight to the conscious. Why the colour blue? The colour relates to wisdom, serenity and dreams. It is ever-present around us, and yet doesn’t exist inside our bodies. It only exists in our dreams and our subconscious. The colour blue refers to life, journeys and discoveries in the literal sense as well as the figurative (personal introspection). The intensity of the performer’s presence makes it unbearable for the audience to hold its gaze. 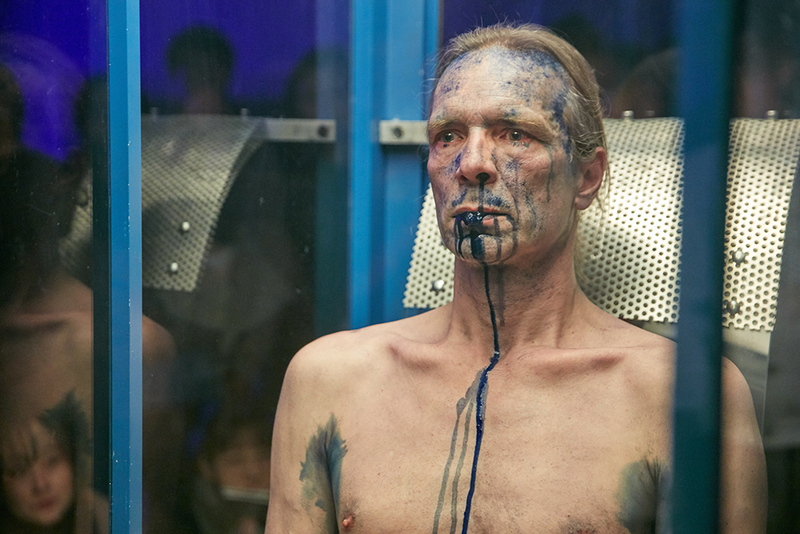 The subject “expressing” the blue ink takes the audience through a human experience that reaches the realm of the supernatural. 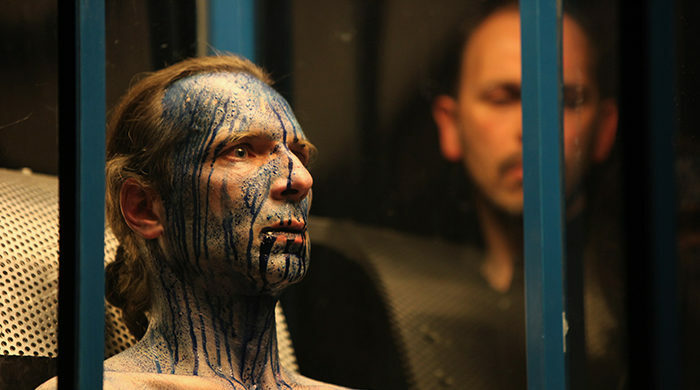 Born in 1966, Yann Marussich, a unique character of the contemporary dance, delivers performances, which have a true impact on the audience: « scraped, disturbing, provocative, and authentic ». Since 1989, he signed a score of performances and choreographies diffused all over Europe and the world. In 2001, Yann Marussich choreographs “Bleu Provisoire”, his first totally motionless piece. 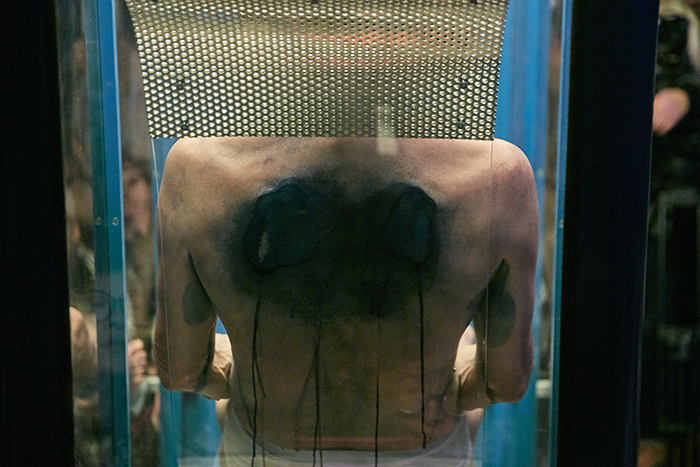 Since then, he is sinking into introspection and the control of stillness meanwhile confronting his body to diverse solicitations, or even aggressions That is where the poetic space of the performer is located, in an often violent contrast between what his body is under going and an absolute impassivity. Today, he is moving towards solo performance and Body-art in its poetic aspect.